Classic 3 bedroom cape with over an acre of land awaits its new family, in desirable Hanson! This home boasts a one car attached garage with a huge breezeway and 3 season porch overlooking the flat, private backyard. The kitchen is spacious and has an eat in dining area. The front to back living room has many possibilities and has an existing area for a pellet or wood stove for those nights you do not want to turn on the heat! In addition to the first floor bedroom there are 2 big bedrooms upstairs with ample storage space. At the top of the stairs there is a very large closet but would be perfect for a second bath! There is a brand new septic and the heating system was recently replaced. 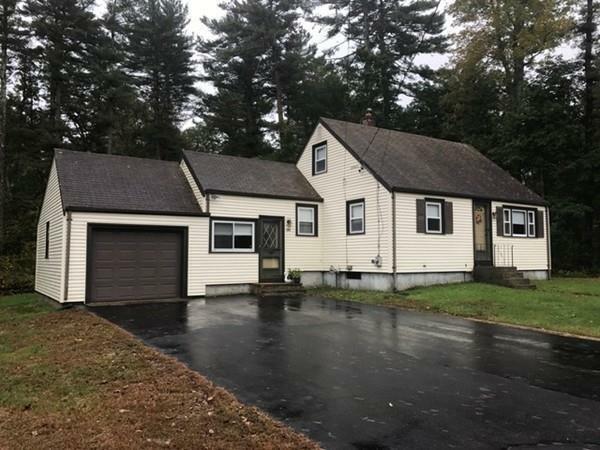 This home is situated in a beautiful country setting but still conveniently located to the commuter rail, golf courses, shopping, restaurants...Easy to show!